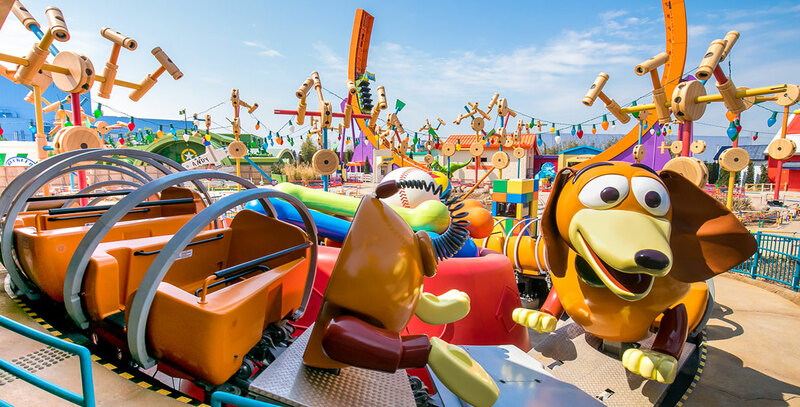 Disney•Pixar Toy Story Land This first major expansion of Shanghai Disneyland opened April 26, 2018. Guests feel as if they’ve been shrunk down to the size of their favorite Toy Story toys, as they interact with Woody, Buzz Lightyear, and others in this fully immersive land that features three new attractions: Slinky Dog Spin, Rex’s Racer, and Woody’s Roundup. Guests can meet their favorite characters at Meeting Post, shop at Al’s Toy Barn, and eat at the Toy Box Café.